There are some actors whose talent no longer needs any validation. They have worked long enough in films which have brought their acting prowess to the fore and helped them proved their mettle as an actor to the audience. 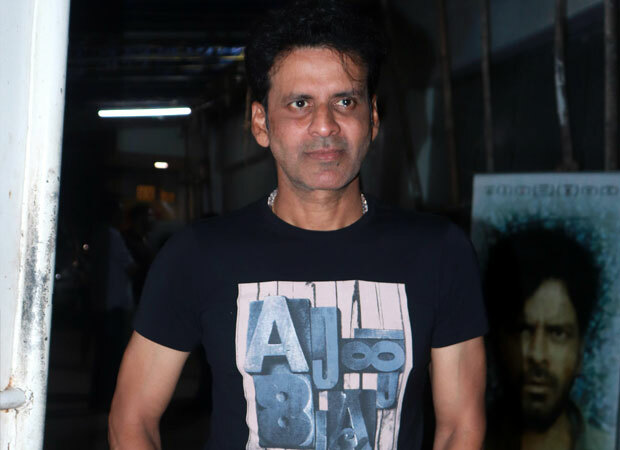 Ever since he made his debut with a tiny role in ‘Drohkaal’ in 1994, Manoj Bajpayee has steadily managed to build a brand for himself – a brand which stands for quality cinema, power-packed performances and a rich baritone that is going to be revered by cinephiles for ages to come. Basking in the glory of his recent commercial hit Satyameva Jayate, the actor talks about what makes him pick a particular film and why his next film Gali Guleiyan has been his most challenging film till date. Were you confident about the success of Satyameva Jayate? One can never predict the success or failure of a film but Milap was very positive about the success of the film. He had earlier written the dialogues for several hit films like Kaante, Shootout At Wadala and Ek Villain, so he knew the space he was in and the kind of audience he was catering to. He has a lot of faith in commercial cinema. He always came across as very confident while narrating and making the film. It is the biggest victory for him and the belief he had in the script. During the narration itself, Milap had pointed out the scenes where he was sure the audience is going to respond with claps and whistles and that is exactly what happened. All of us, be it John, Nikkhil or me, got on board on this film because of Milap’s conviction. Do you think the success of Satyameva Jayate will have a positive effect on a smaller film like Gali Guleiyan? Absolutely! Gali Guleiyan will definitely benefit from the success of Satyameva Jayate. This is how the industry works. The success of my last film will get distributors more interested in my next film. But, it also works the other way around. If a big commercial film that I am doing fails, it would be difficult for me to find takers for the small, independent film that I am doing next. You have said in several interviews that Gali Guleiyan has been your most challenging film till date. Why? In Gali Guleiyan, I play the character of a psychologically disturbed man. He sees a young boy getting beaten up by his abusive father regularly. Throughout the film, this man tries to look ways to help the child and save him from the clutches of his abusive father. A role like that demands a lot of emotional investment from the actor and hence, it is very challenging to play such characters. It is also the second psychological thriller one will be seeing you in this year after Missing. Gali Guleiyan is a completely different film from Missing. I was not playing a psychologically disturbed film in Missing. I was a badmaash in that film (laughs). Missing was a thriller and Gali Guleiyan is more of a drama. It delves very deep into the subject. Most actors get very scared go very deep into a topic like this but my director Dipesh Jain kept pushing me to explore the character and the milieu more and more. The trailer of the film was very impactful but quite short. One also does not get to know much about the character you play either. We consciously decided to cut a short trailer for the film. As it is a film which has elements of suspense and intrigue in it, we want the audience to discover these things when the film in its entirety. We did not want to reveal too many things about the plot of the film in the trailer. This year, you placed your faith in two directors who had not delivered hits earlier. Both Ahmed Khan (Lakeer, Fool And Final) and Milap Milan Zaveri (Jaane Kahaan Se Aayi Hai, Mastizaade) had two flops each behind them. Were you a little apprehensive about working with them when they approached you? No, there was no apprehension as such. I thought if directors like Ahmed and Milap, who have not made successful films in the past, are asking me to support them and stand by them as they make another attempt at making a film, I must believe in them and support them. I have known Ahmed for several years and he has been a very successful choreographer. He was a very good technician and I knew he would be able to make a good film out of the written material. The fact that Milap’s last two films did not work does not make him a bad director. A good director needs just one film to put him where he deserves to be. What he had done before that was not important. For me, script is the most important thing. You made your debut as a producer with ‘Missing’ earlier this year. Do you intent to produce more films? I have produced another film called Bhonsle. It has been directed by Devashish Makhija who had earlier directed me in the short film Taandav. The film is ready and is currently making the rounds of film festivals at the moment. We unveiled the first look at the 71st Cannes Film Festival. After two films myself, I have realised being a producer is not an easy job. I respect my producers more now. You will soon be seen in a web-series produced by Raj and DK. ‘The Family Man’ is quite an interesting title for a show which has you playing an officer of an anti-terrorist organisation. Can you share something about your character in the show? It is a very interesting show. I play the role of a secret agent working with a government agency that combats terrorism. I am stuck between a very demanding family and equally demanding job. The audience will find it interesting to see how he oscillates between doing his duties as a family man and a secret agent. It is a thriller and will be out early next year on Amazon Prime Video.